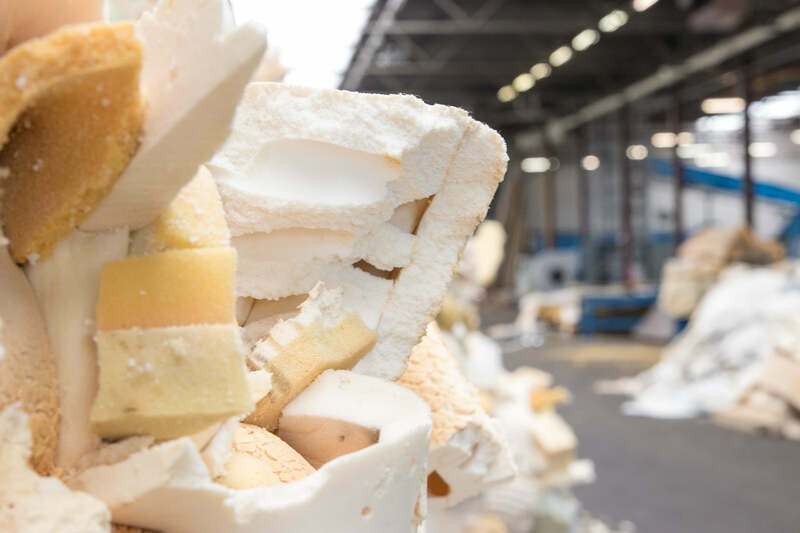 RetourMatras goes one step further in the chain and in-house produces products made of polyurethane and latex (foam) that are released when recycling an old mattress. We call this product bonded foam. 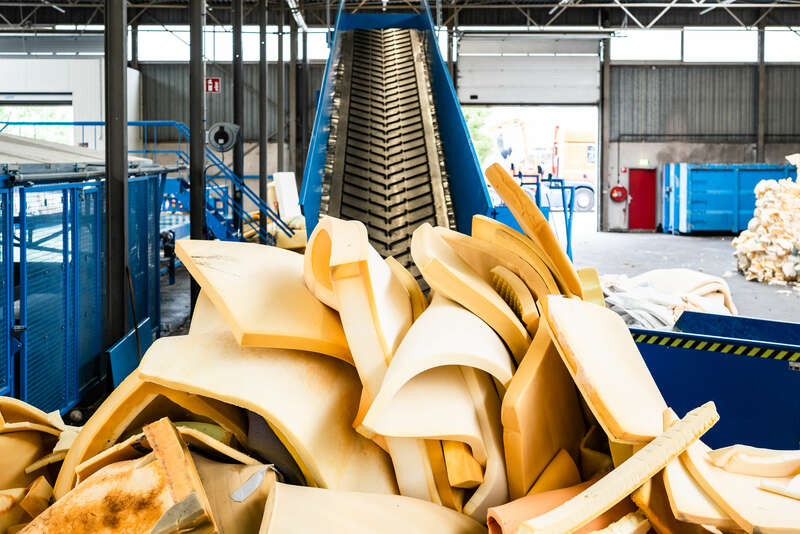 Materials that are released during the recycling process are new products. 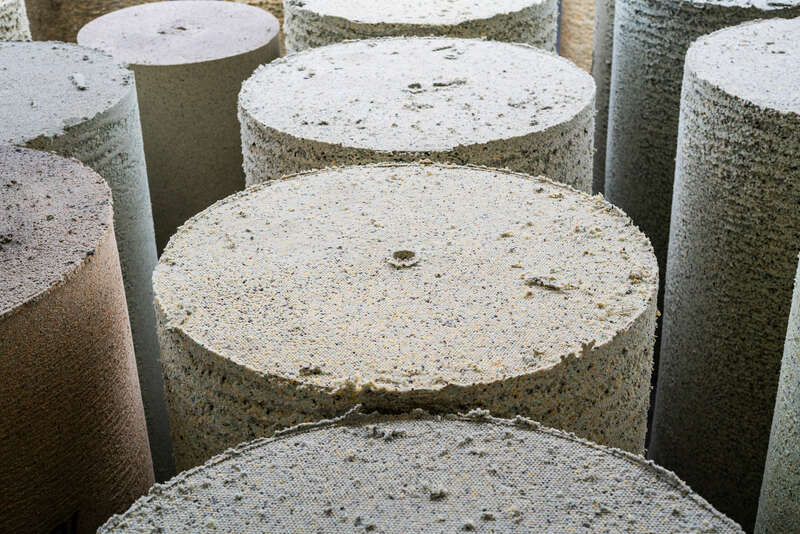 With the self-manufacture of bonded foam, RetourMatras realizes savings in costs and CO2. 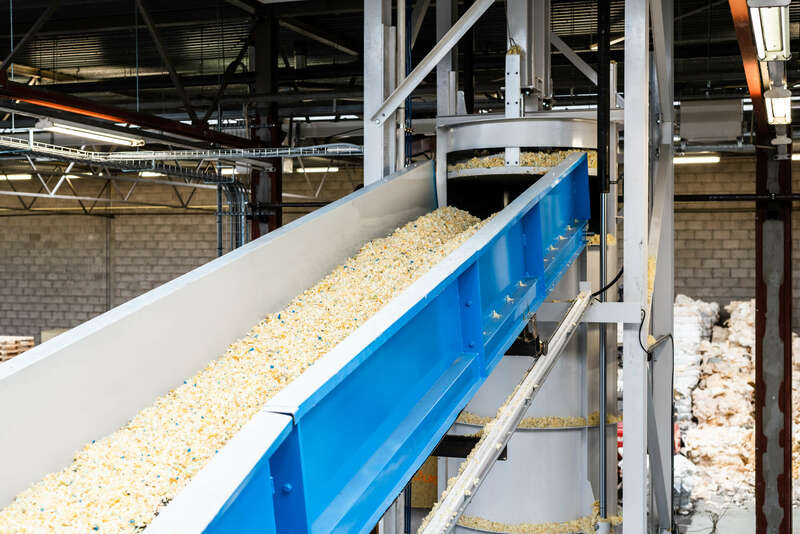 At the factory in Alphen aan den Rijn, the production facility is linked directly to the recycling line. This means that the released foam does not have to be bled and stored anymore. 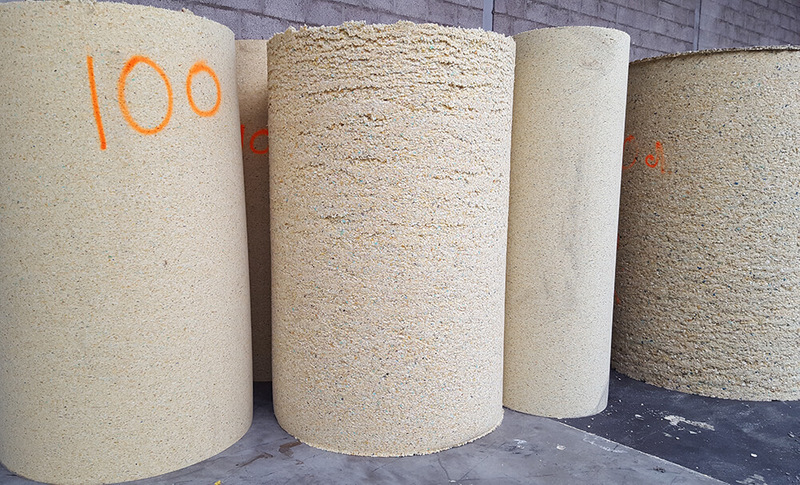 RetourMatras has its own distribution channel for the sale of bonded foam. Usually this party sells the material directly to the end user, the consumer. Transport distances are thus reduced to a minimum. 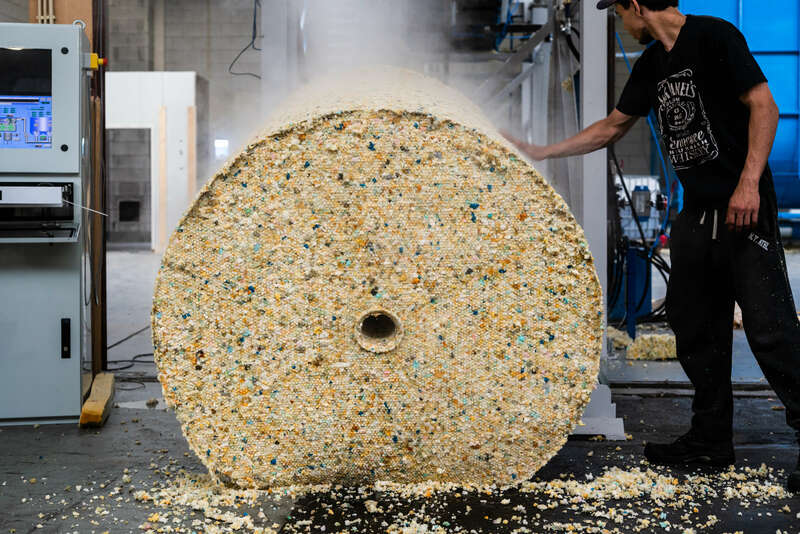 Flakes are made from the strips of foam that are released from the mattress recycling process. These flakes are moved to a silo for storage by means of air. With sufficient material, the flakes go to the mixer. Here a binder is added and possibly a dye to give the bonded foam its own structure and color. 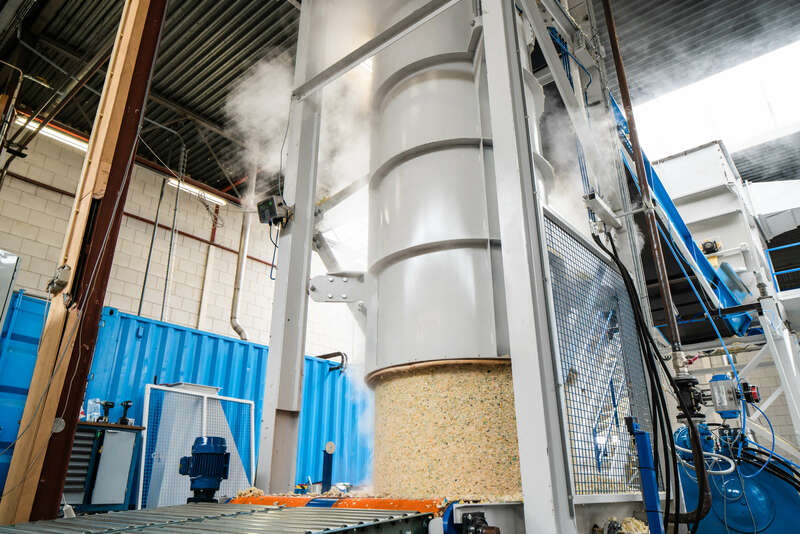 When the flakes are sufficiently mixed with the binder, the flakes fall onto a conveyor belt towards the cylinder press. 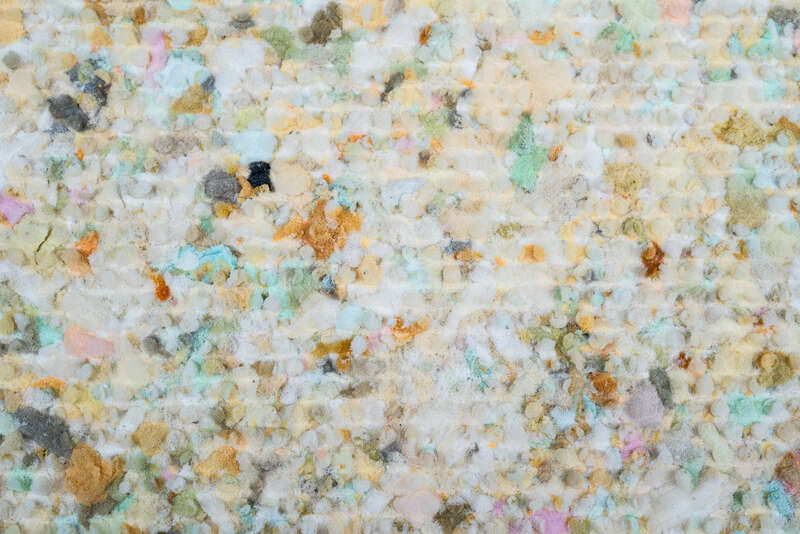 The foam flakes are pressed at a density varying from 80 to 300 kg / m3. The binder activates only in humid conditions and therefore a large amount of steam is blown through the cylinder at 140 degrees Celsius. Any bacteria are also treated in the same way in this way. After steaming, the cylinder is deformed in height from 1.5 to 2.2 meters high and stored for drying. After drying, the cylinder is pressed to the desired thickness of 3 mm to 30 mm. Due to the variations in density, height and thickness, the product can be used in various ways. 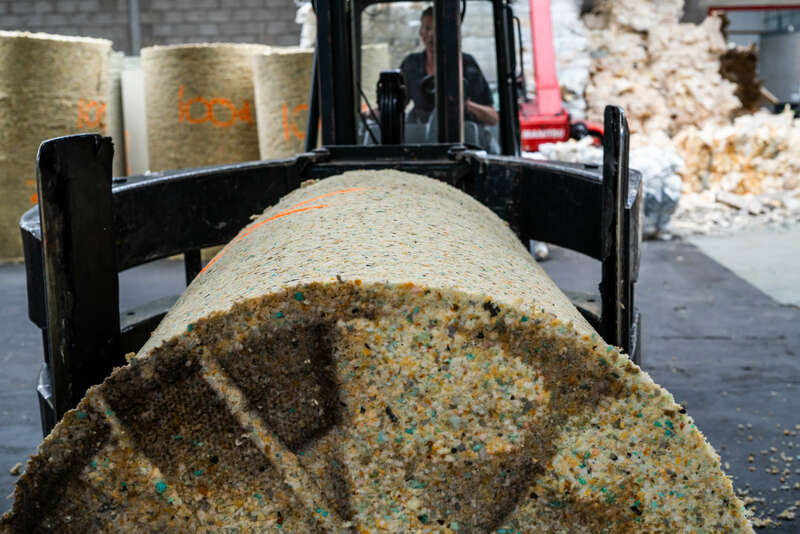 Bonded foam is used, among other things, as underlay, acoustic insulation and as a shock pad under sports and artificial grass pitches. 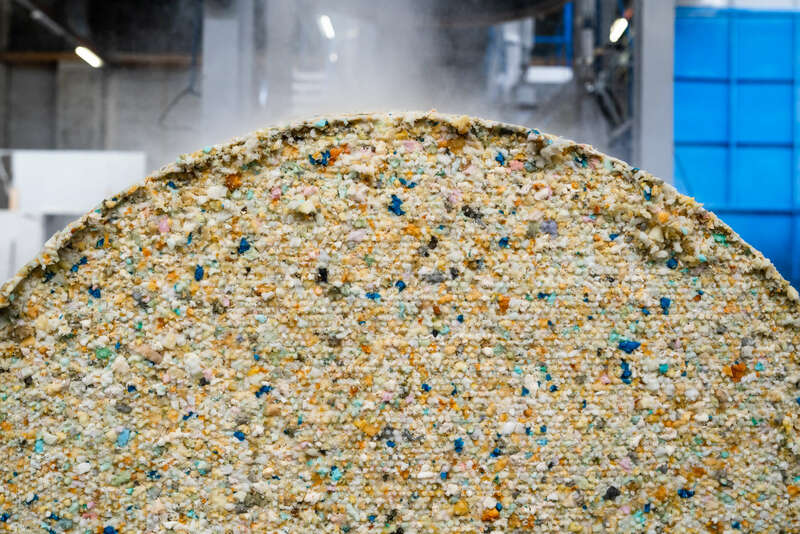 Unique in the circular process of RetourMatras: an old mattress is immediately processed into a new product.